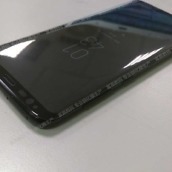 While there has been little shortage in leaks and rumors surrounding the Galaxy S8 from Samsung, actual photos have been somewhat limited. That all changed yesterday, though, with an account on Twitter posting up four pictures of what appear to be the 2017 flagship. From this set of photos we can gather quite a bit of intel, something we can’t always say. 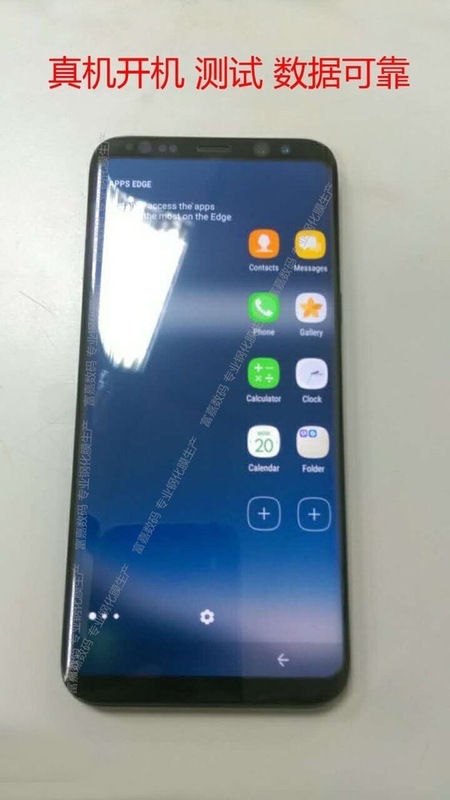 First up, in the photo that has the device’s display lit, we can see an actual on-screen button on the bottom of the front. So, yes, on-screen buttons on the Galaxy S8. Hype. 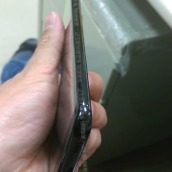 Also concerning the display, we can see that an always-on option is available, seen in a couple of these photos. This feature is not new to the Galaxy S line by any means, but it does look to be coming back on the S8. Moving along, on the top frontside, get a load of the sensors and camera(s?). Flanking the top speaker are six holes, all filled of different gizmos. 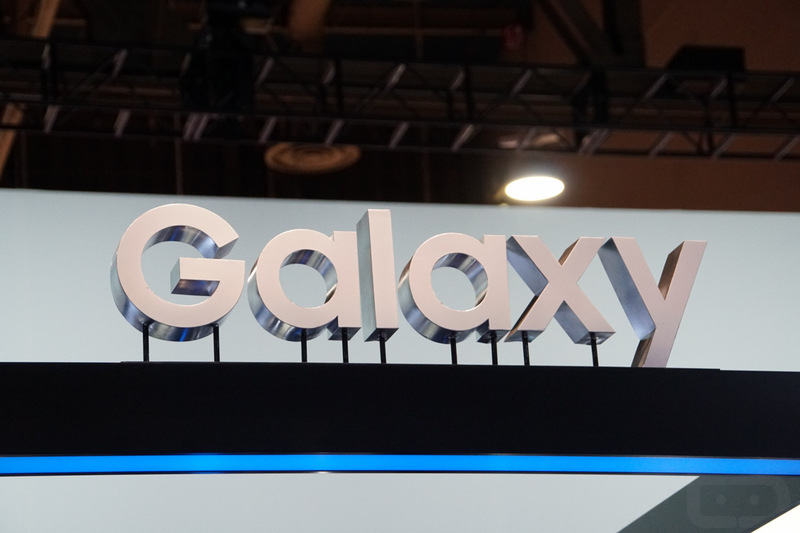 Does this confirm that Samsung will equip the Galaxy S8 with an iris scanner? 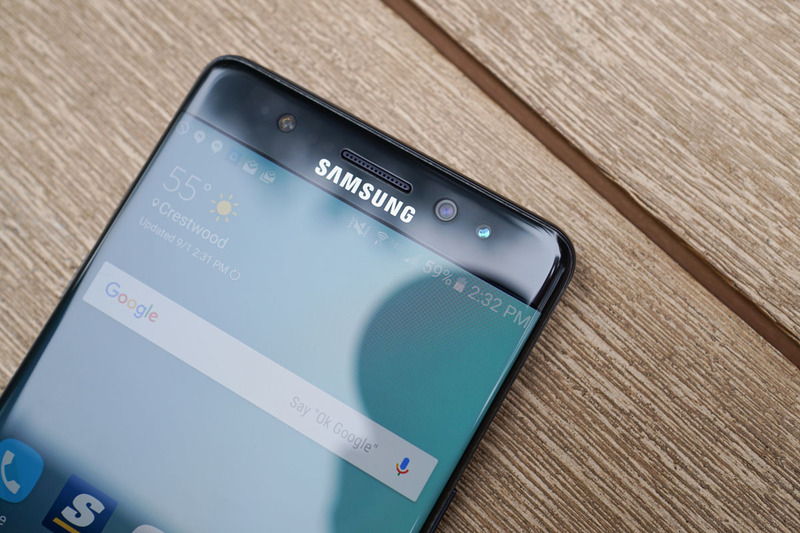 Technically, no, but considering the company probably has thousands of modules sitting around from the Galaxy Note 7, it does seem likely. 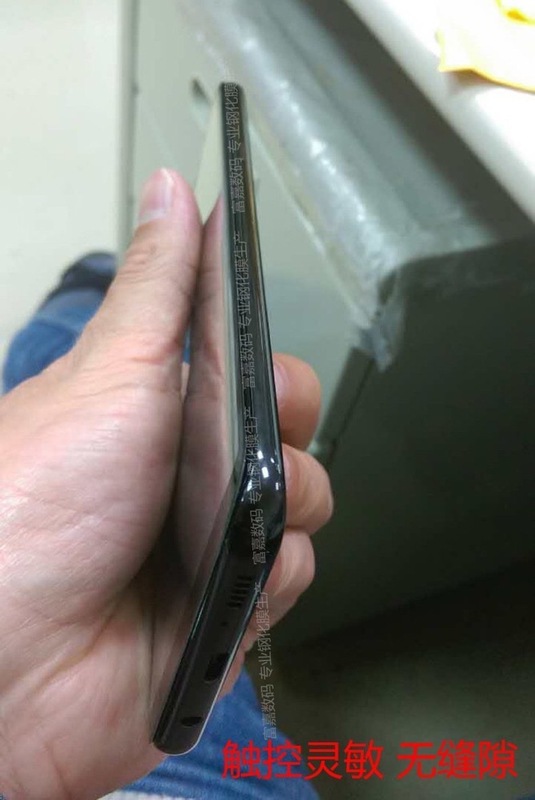 We also have to note that the top frontside aligns pretty well with what the Galaxy Note 7 featured. The last bit of detail I can see concerns the display. 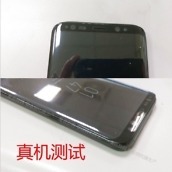 Looking it over, it seems quite clear that the Galaxy S8 could feature rounded corners, just like the LG G6. 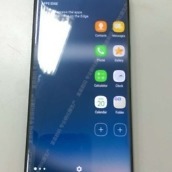 Samsung is no stranger to this curved display design, so it should be interesting to hear its possible explanation as to why they are just now wanting to implement this change. 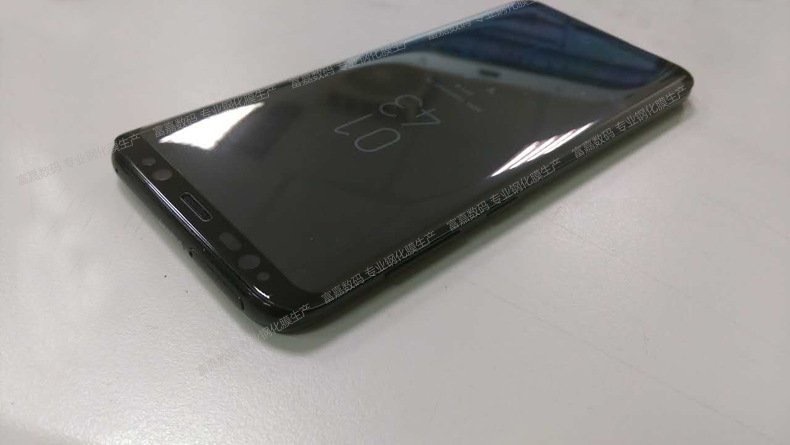 Naturally, this photo dump doesn’t include a shot of the backside, meaning we are still curious about the exact positioning of the fingerprint reader. We’re still pretty nervous about it. Look over the photos, then share your thoughts below.